Awesome Bizdads have three characteristics that form a unique man in our world. First, they have the undeniable Entrepreneur gene. Second, they aspire to be awesome men, fathers, and husbands. Lastly, they believe in the creator skill and feel destined to teach this to their children - whether to support them in creating side-projects, charities or full-blown businesses. We want to give our kids the guts and the know-how to dream and realize those dreams. 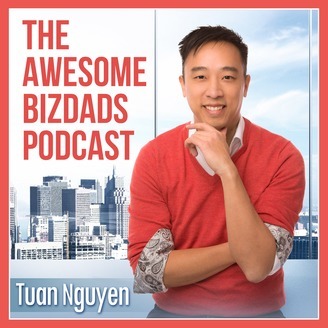 These individuals come together to form a community and movement, host Tuan Nguyen calls, The DudeBuddha Movement. 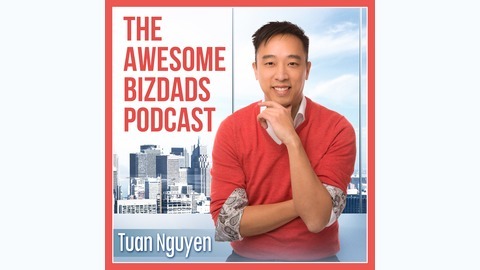 Through this weekly podcast, Tuan Nguyen connects with awesome bizdads all over the world as they share game-changing lessons and epic failures on fatherhood, self-care, business and relationships. If you feel the entrepreneurship spirit amplified even more since being a father, this is the place for you. DudeBuddhas know this is a life-long journey, not a destination. Ready? It's AWESOME TIME!